When it came to creating a cake collection, I knew two things - the cakes needed to taste incredible and that I'd be naming them after my rock star heroes. It seemed right given that what I aim for with every cake is to blend classical techniques and flavours with a modern insouciance. This easy elegance is what we so admire in performers I think, when you watch them on stage and they completely inhabit themselves, never having to try too hard but still making sure that you can't take your eyes off of them. That's what you get with a Ginger & the Whisks cake, a guaranteed show stopper, quietly taking over the room. First and foremost, there's Patti Smith. When you've listened to someone for as long as you can remember, it's fair to say that they have had a hand in shaping who you are. She's constantly teaching me to be fearless, to try everything, that creativity is fluid and that you can express yourself in all manner of mediums until you find the right one. I have made some big changes in my life and career and I often think of her longevity and pursuit of art when I need the confidence to continue. Patti is a cake made up of subtle flavours and textures, she's complex and beautiful and strong. Read all about the bespoke Patti cake to see if she's what you're looking for. Viv Albertine is another example of a woman who has carved out a place for herself and left me slack-jawed with awe in the process. Her book Clothes, Clothes, Clothes. Music, Music, Music. Boys, Boys, Boys, was such a triumph and I remember reading it thinking, wow that's how you do it! I love her music, her sass and how immediate she makes her presence felt. Viv is the perfect celebration cake for those who like to pack a punch; laced with Kirsch the deep dark sponge is hidden under a layer of pristine white Chantilly cream. Stevie Nicks and Debbie Harry are style personified as far as I'm concerned. They both fashioned looks that liberated and inspired generations of women and, personally, I've lost count of the number of times I've flicked through images of them, looking for those sartorial details that never fail to give you an edge. My Stevie and Debbie cakes are both all about the details and are great if you're a fan of a smattering of shimmer or leopard print - and let's face it, who isn't!? When David Bowie died I was crushed, how could he not be here anymore? A man who has a place in everyone's musical history, who made the world brighter. So when it came to naming my ginger molasses cake, I couldn't not call her Ziggy. Take a look at the details of my Ziggy cake here. ​Polly, inspired by the inimitable PJ Harvey. For me she embodies ice cold English cool and a seemingly never-ending pursuit of creativity. She creates music and art that defy categorisation and presents herself with a fearless beauty that I've admired as it's evolved since the 90s. She was the perfect fit for a cake that celebrates the crisp, cool, citrus hit of a G&T, check out the details here. Finally, the newest member of the girl gang is Dolly, named after the qween herself, Dolly Parton. 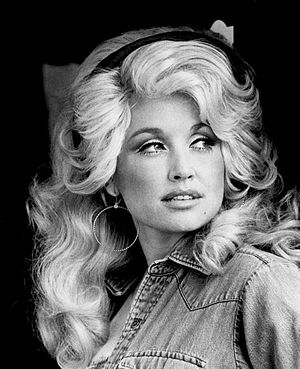 Dolly doesn't do subtle, instead she champions more is more with added rhinestones, and for that, I adore her. Her lyrics are some of the greatest ever written and she is the ultimate crowd pleaser - the perfect namesake for the ultimate carrot cake. * My cakes are in no way affiliated with or endorsed by Patti Smith, Debbie Harry, Stevie Nicks, Viv Albertine, PJ Harvey or Dolly Parton, they are merely inspired by, and named after, them.